Look how far we have came! Do you feel any different? Are the affirmations helping you become a better version of yourself. I do hope so. For me, it’s a journey and one thus far I have definitely enjoyed. It has been all a challenge as well because at times I doubt myself , I let fear step in, and I allow anxiety to take over. But with the daily affirmations it helps me to re adjust myself and thought process in order to keep me on the right track to having the best day possible! 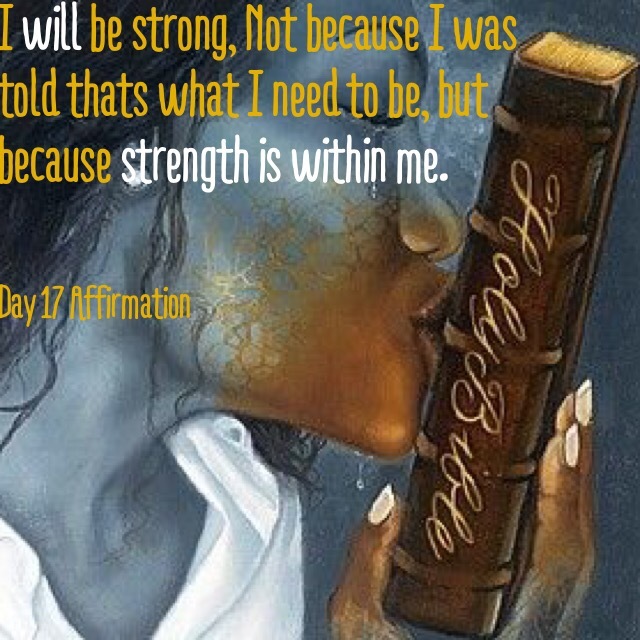 So today my Affirmation leans towards strength. Having the strength to keep fighting and pushing through whatever battle you may be going through. The strength is already within you, just Speak it, believe it, and it WILL manifest.